Home / Uncategorized / Get involved in Erasmus+ Virtual Exchanges! UNIMED is participating in a new and very strategic project supported by the European Commission: EVE – Erasmus+ Virtual Exchanges.The project will run during the year 2018 and will put in place a number of actions designed to engage students and youth from the Southern Mediterranean in Virtual Exchange activities with European fellow students, through facilitated, meaningful, and multilateral interaction. The final aim is to expand students worldview and build critical 21st Century skills and attitudes like self- and global-awareness, empathetic listening, critical and analytical thinking, inclusive leadership, curiosity, and media and digital literacy. 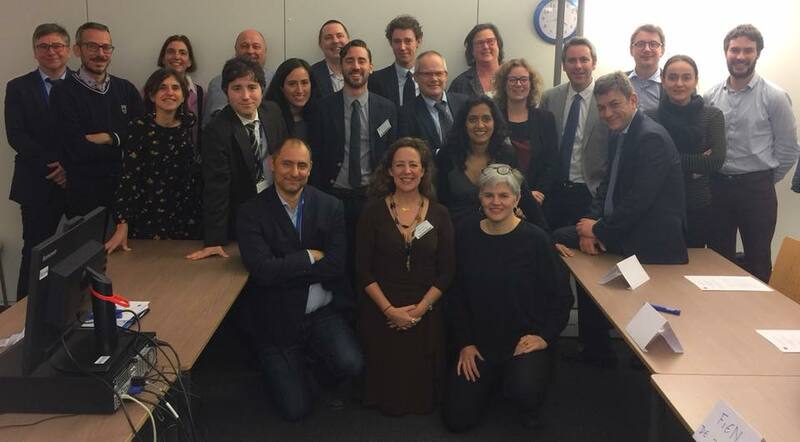 EVE celebrated its Kick Off Meeting in Brussels on the 11th of January 2018, with the participation of the European Commission, the European Agency for Culture and Education, and the partners of the project: Search for Common Ground, Anna Lindh Foundation, UNIMED, Sharing Perspectives Foundation, Soliya, UNICollaboration, Kiron Open Higher Education, Migration Matters. Whether you are a higher education professor, a university manager/administrator, an educator, or a motivated individual from Europe or from the South-Mediterranean, there are many ways for you to get involved in EVE. While there will be more opportunities in 2018, the very first EVE activities have opened calls for participation. Participation is free of charge. Find out how you can get involved by contacting stefanelli@uni-med.net .